BOMBSHELL! Obama/Clapper/Brennan-planted mole in the Trump campaign has been identified by internet snoops doing the job of the mainstream media AGAIN! With every passing day, the noxious swamp we knew as the Barack Hussein administration, which continues to operate as a shadow government, gets a little deeper and a lot nastier. Over the past few days, news broke that Hussein and his goons had planted a mole (spy) inside the campaign of Donald Trump. 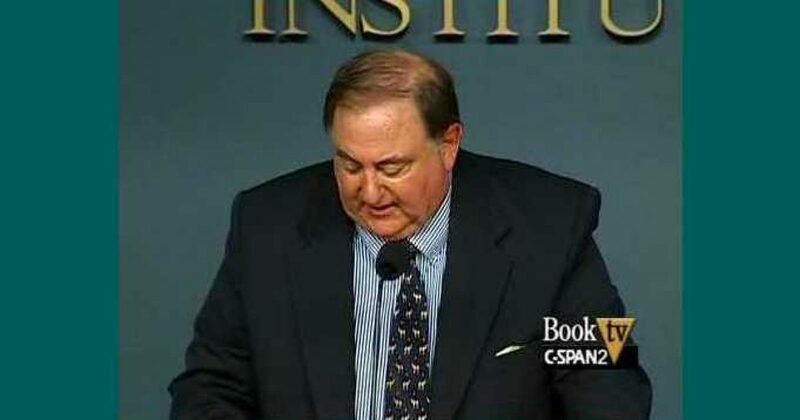 Today, that mole has been identified as Stefan Halper, who was paid nearly $300,000 by Hussein and two of his top intelligence officials, James Clapper, Director of National Intelligence and CIA chief John Brennan. Halper has been a career foreign policy wonk and reportedly a longtime CIA and British MI6 operative. Exactly what does it take to open an investigation into the mega-corruption within the Obama administration? Now, this is a long and confusing story, so I will attempt to break it down into bite-sized pieces for us. With Peter Strzok’s text messages available to the public due to his outing as an anti-Trump instigator within the Special Counsel’s #RussiaGate hoax, we can determine that Strzok and his adulterous lover (Lisa) Page were both connected to Stefan Halper and George Papadapolous – two men intrinsic to the Obama team’s offensive against Trump. Then, evidence of a secret meeting between Halper and Obama cronies was uncovered. Of course, we can’t ignore that MI6 connection either. Will the mainstream media even cover this? Perhaps an obligatory one-sentence report at the end of an hour-long Stormy Daniels interview. May/June 2016 – Halper invites Carter Page to July 2016 Cambridge symposiumregarding the upcoming election. Not so clever attempt to set Papadopoulos up. He was a reported braggart and even if he knew nothing about Russian hacking, he was likely to say, “Oh, sure, I know all about it,” thereby validating and legitimizing the illegal surveillance of the Trump campaign. The greatest problem is that Halper is likely not the only mole. There may be many. Like guerrilla fighters who blend in with the local population so that they can’t be identified, these traitors (or moles as the politically correct call them) move fluidly throughout the government. They are career beltway parasites, mostly. They know the political landscape, they understand the system, they speak the lingo. You can’t tell a traitor from a patriot. These traitors must be identified and fired. It will help for the Trump administration to purge all Obama holdovers. All of them! Give them their severance package and send them on their way. Secondly, make examples of the known major swamp rats. Comey, McCabe, Rosenstein, Brennan, Clapper, Hitlery, and even Barack Hussein. What these swamp rats are doing is clearly seditious conspiracy and should be prosecuted as such and the proverbial book thrown at the lot of them. There is enough evidence known to the public to put each of the rats in prison for many years. Do it! If they are allowed to get away with this, it will only get worse. They are emboldened by our “look-the-other-way,” worthless Attorney General. EVERYONE knows these rats are guilty. Check out the following video, starting at the 5:15 mark. Jim Jordan is slamming Rosenstein, DOJ, and the FBI for their clearly criminal activity in the illegal surveillance of candidate- then President-Elect Donald Trump. Rosenstein looks like a Nazi concentration camp commander on trial at Nuremberg. Everyone in the room knows he is guilty, including and especially himself. Watch his eyes just after he says, “we will” at the end of the video. He can’t hide his guilt. You don’t have to be a body language expert to see the barefaced lie all over this rat’s face. He is a liar, a weasel, a traitor, and deserves the same justice he has been dishing out to other criminals for decades.